Gorgeous Villa with amazing Ocean View! THE EDGE- 2 Bedroom Villa plus 2 Bedroom Guest House W/ Total Privacy And Tranquility Just a Walk Away From The Beach! This 12 acre ocean front private estate is home to a luxurious villa and guest cottage, it is undoubtedly the most breathtakingly romantic place you will ever visit. The grand palm lined drive glides you past the guest cottage to the main house, a unique Guatemalan style villa that has touches of castle in it's design. You enter through hand carved great wooden doors into a tropical courtyard where you will wander through to the main door to where the magic begins. Enter the great room, majestic indoor /outdoor open plan living with 25 foot ceilings. Proceed through the living areas to the decks where the dazzling 180 degree vistas of endless ocean will let you know that you are now standing at "The Edge" of the earth, 150 feet above the Pacific Ocean. 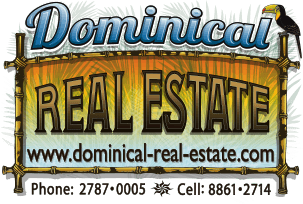 The property is paradise found with all that Costa Rica has to offer without ever leaving the estate. The Edge is alive with white face and howler monkeys, toucans, sloths, pezotes, parrots and endless varieties of tropical birds. Sit on your private tree house deck perched above the Pacific Ocean watching whales, dolphins, and pelicans that you feel you could reach out and touch, while listening to the sounds of the surf.